A powerful upper ridge remains centered over the W Europe while a deep trough ejects Greenland towards east. An associated deep surface cyclone moves from Iceland towards the N Scandinavia. 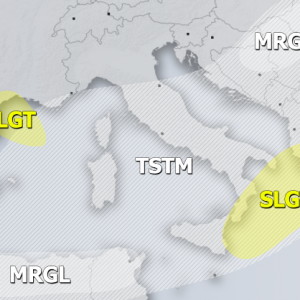 An upper low over the S Mediterranean results in convective storms, similar conditions are expected with the low over Morocco. MDT / ENH risks have been issued for W Norway with threat for severe to extremely severe winds, locally in excess of 130 km/h. SLGT risk has been issued for areas surrounding MDT / ENH risks including Faroe islands, Lofoten and parts of the N Atlantic where severe winds in excess of 100 km/h are possible. 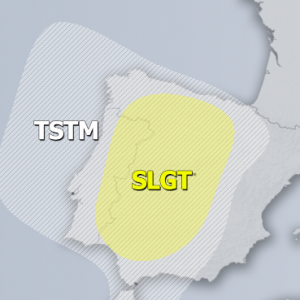 SLGT risk has been issued for the S Ionian sea, Crete and surroundings with threat for severe storms, capable of producing marginal hail, severe winds and torrential rainfall. Waterspouts are possible too. SLGT risk has been issued for N Morocco with threat for severe storms, capable of producing large hail, severe winds and torrential rainfall. MRGL risk has been issued for N Middle East with threat for isolated severe storms capable of producing large hail, severe winds and heavy rainfall.